Camille holds a PhD in social science (Ecole Polytechnique, Paris, 2005), with a background in both cognitive science (MSc EHESS, Paris, 2002) and general engineering ("ingénieur des Ponts et Chaussées", Paris, 2002). 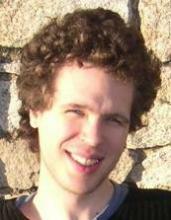 He has done extensive work on epistemic networks, dealing with knowledge network morphogenesis and diffusion processes. His present research interests also include social cognition, dynamic social networks, complex systems modeling, graph theory, applied epistemology, viability theory and cultural co-evolution. He is currently a research fellow in the Department of Sociology and is associated with the European project PATRES: Pattern Resilience.